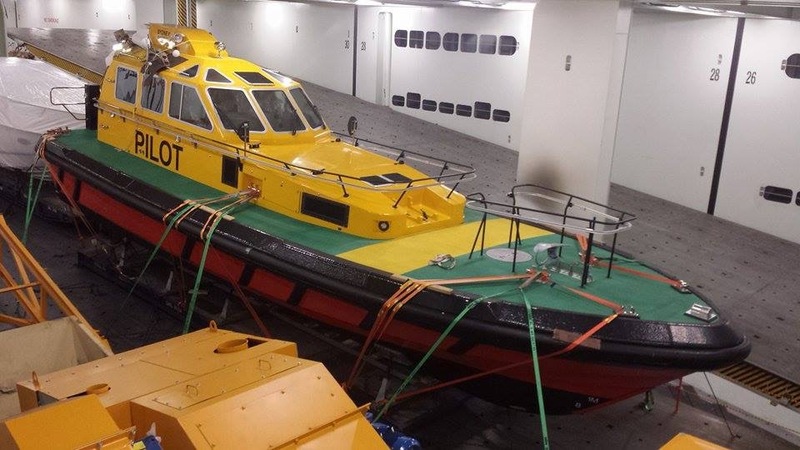 The third 16m Pilot Boat for the Port Authority of New South Wales (Sydney Ports Corporation), named Sinclair, was loaded on board MV Tysla in November. We received the photo of the Pilot Boat on board the ship from the project manager at Sydney, he had got the image from a chain of people which started with a crew member on board Tysla and ended with one of the Pilots at Sydney. The Pilot Boat is due to arrive at Port Kembla at the end of December and will be moved to Port Botany ready to be commissioned early January 2015.